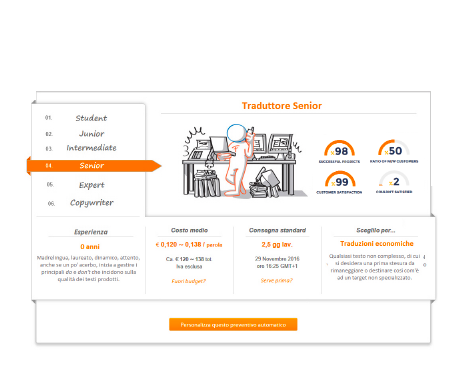 For Italian companies, English-Russian translations of web sites, packaging and documentation of their products or other kinds of commercial translation, is an important marketing strategy in order to reach a high number of potential customers who would be hard to involve through the traditional communication channels used in the Western world. Russian is an East Slavic language spoken in Russia and in many former republics of the Soviet Union: all these countries have preferences and lifestyles that are historically very different compared to the Western world. For example, in Russia only 4.9% of the population speaks English, the most popular social network is not Facebook, but Vkontakte and the most used search engine is not Google, but Yandex – where it is vital to obtain good organic placements or carry out different marketing campaigns from those planned by Google. Our customers know that their texts are managed only by mother tongue translators who reside in the country the texts is intended to, so that we can guarantee that the text will be adapted to the cultural and stylistic preferences of your potential customers. The Foreign Friend offre ai propri clienti la tranquillità di sapere che i loro testi vengono sempre gestisti esclusivamente da traduttori madrelingua residenti nel paese cui è destinato il testo, così da assicurare la migliore aderenza possibile del testo alle preferenze culturali e stilistiche dei propri potenziali clienti. Russian is the official language of Russia, Belarus, Kazakhstan and Kirghizstan and is widespread in 17 countries, where it is used by about 167 million people – this makes Russian the 8th most spoken language in the world. Until the Fall of the Berlin Wall in 1989, in the schools of the countries that signed the Warsaw Pact, Russian was taught as a second language, then replaced by English. Moreover, there are Russian communities all over the world, such as in some countries of Eastern Europe, but also in Australia, North America and Israel. Russian ranks 7th in the chart of the most used languages on the Internet, thanks to 103 million Russian mother tongue users (about 3% of the total) who search for Russian contents every day. Learning Russian can be tough, especially because of the complex Cyrillic alphabet, made up of 33 letters. From a morphological point of view, Russian has the typical features of the Slavic languages: nouns have three genres inflected in six cases (instrumental, prepositional, nominative, genitive, dative and accusative), while verbs, besides five moods and three tenses, are inflected according to two aspects, perfective and imperfective. In quali lingue devi tradurre? per garantire traduzioni multilingue di eccellente qualità! 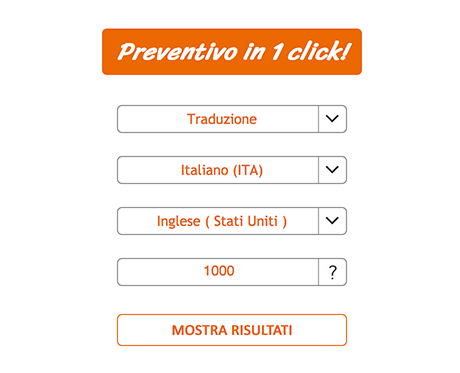 Traduzioni tecniche offerte dalla nostra agenzia di traduzioni. 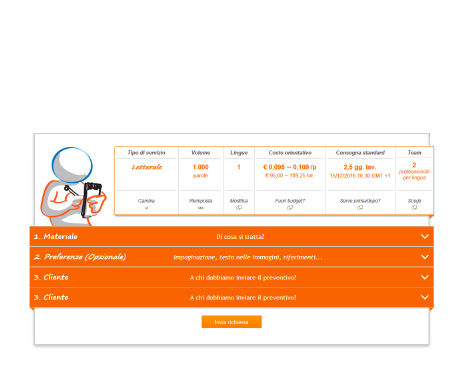 Indica da quante parole è composto all’incirca il tuo testo e in quali lingue vorresti tradurlo. Valuta qualità, costi e tempi di consegna dei vari tipi di traduttore, per decidere a chi affidare il tuo testo.